Great — no problems at airport security. Trying to remember where you put your keys can be difficult. It's even harder when the place you throw your keys is piled with receipts and junk mail. 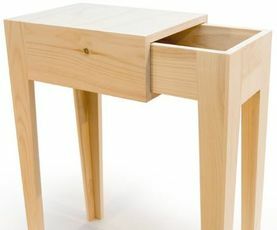 The Side Table addresses this issue by integrating a drawer into the design. The drawer is always slightly open to allow the input of important material. 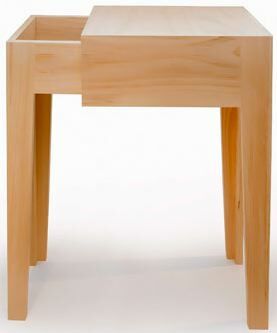 The opening is adjustable to suit your liking, and the entire piece can be disassembled for spring cleaning. No hardware was used in the fabrication. 30"H x 12.25"D x 20"–30"L.